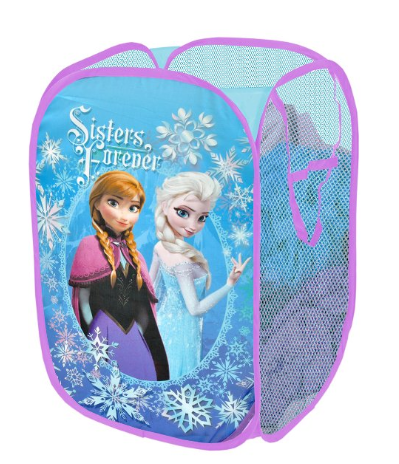 Disney Frozen Sisters Forever Pop Up Hamper ONLY $7.49 + FREE Prime Shipping (Reg. $12)! You are here: Home / Great Deals / Amazon Deals / Disney Frozen Sisters Forever Pop Up Hamper ONLY $7.49 + FREE Prime Shipping (Reg. $12)! Your little one is sure to love throwing their dirty clothes (or even toys like stuffed animals!) in this cute Disney Frozen Sisters Forever Pop Up Hamper for only $7.49 right now (Reg. $12)!